In this long-awaited sequel to the bestseller One Smile, one young boy’s dedication to peace ignites a chain reaction of cooperation and goodwill. His simple act of helping a teacher on the bus is passed on to a neighbor, a mailman, a dentist, an athlete, a lonely young girl and more... in a continuous cycle of generosity. Inspired to help improve their community, strangers and neighbors begin working together in an outpouring of kindness and support. Cindy McKinley’s heartwarming story is brilliantly complemented by Mary Gregg Byrne’s vibrant watercolor illustrations. Readers of all ages will see how even the smallest act of kindness can make a big difference…. and that even one small voice can change the world! One Voice is the winner of the 2013 Preferred Choice Award in the classroom book category. 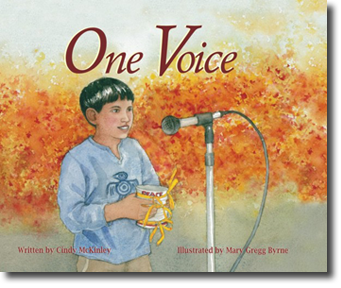 One Voice also just won the 2014 Reiser Award for book that best promotes the spirit of volunteerism and community service for children! ... is a reference book for parents of elementary children who are looking for ways to work with and help their child succeed in school. Written by teachers who are parents themselves and experts in the field, this book includes 365 of the best ideas and activities to remediate and/or enrich a child’s education while also having fun. It covers all major areas of the curriculum (such as reading, writing, math, science, social studies, and spelling) as well as other important areas (such as creating good habits, school year success, critical thinking, and self-esteem/ self-reliance). It is written in a friendly style and every idea/activity is aimed at making learning together fun. Young Katie’s innocent smile ignites a far-reaching circle of warmth and selfless giving. With one simple act of kindness, she touches the hearts and lives of people she may never even meet. This masterfully illustrated story inspires everyone to pass along One Smile wherever they go. 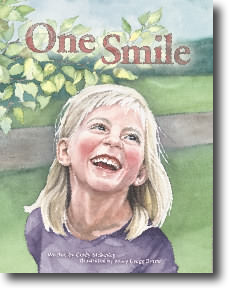 One Smile was the 2012 winner of the Benjamin Franklin Award.